Gee-yaaaah!! OMG! 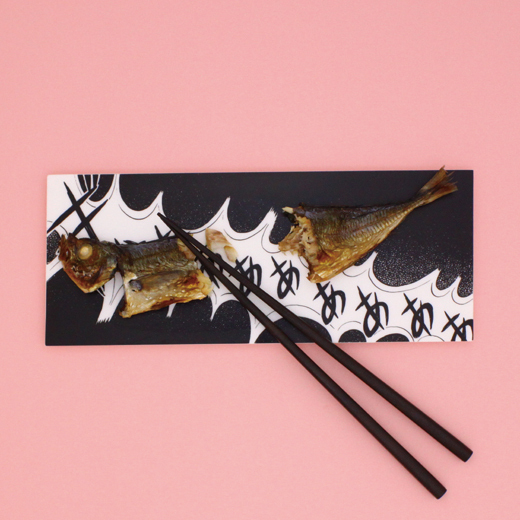 Death cry of fish (T_T;)? 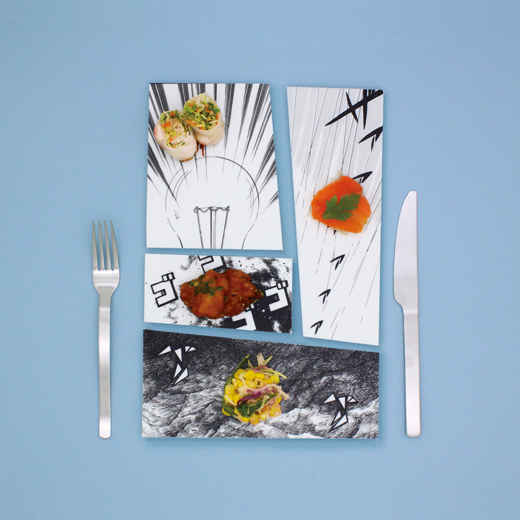 Today, I would like to introduce some unique artistic works called “manga plates” created by a designer Mika Tsutai. Her idea is very simple (but epoch-making). 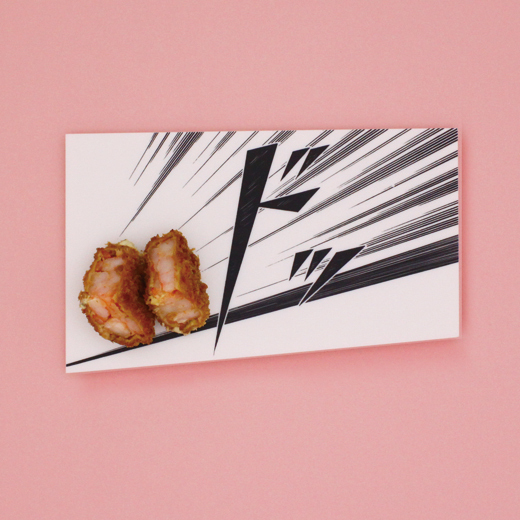 She prints concentrated lineworks or onomatopoeic words from Japanese manga on white plates. And she puts real food on these plates. 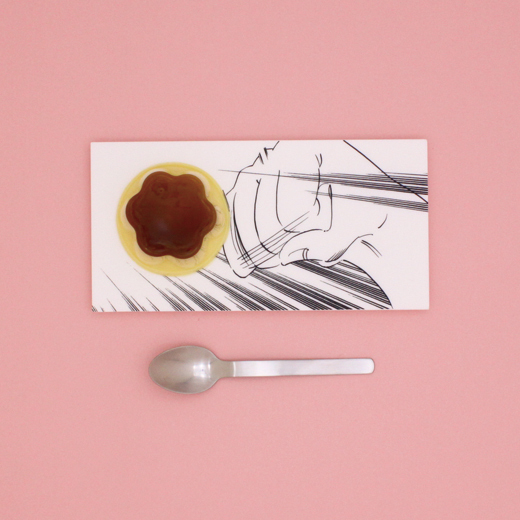 Don’t you feel just like you are reading 3D manga (^^)? 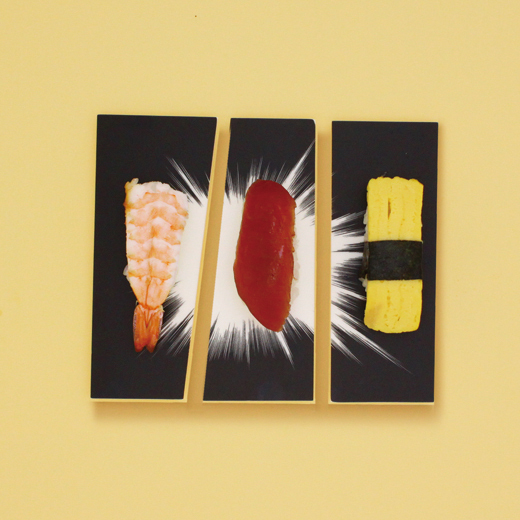 Food looks more lively and vivid than on normal everyday plates. 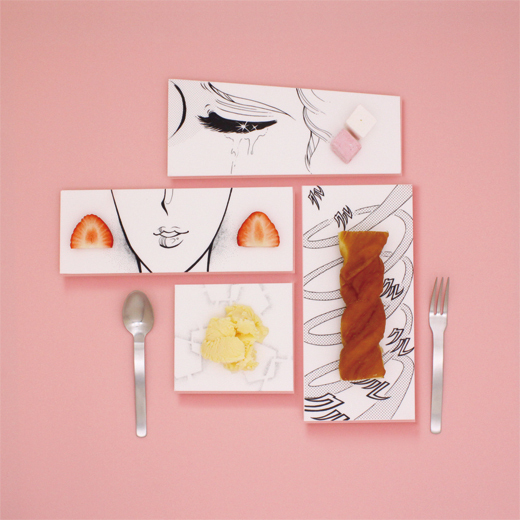 Let’s see some of these manga plates!